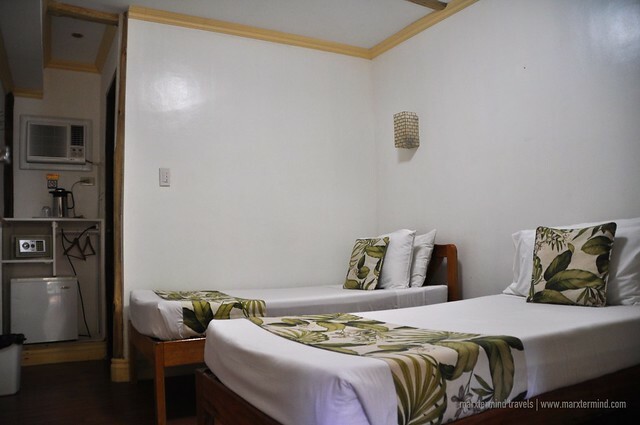 Palo Alto Bed & Breakfast is a perfect choice in Puerto Princesa if you’re looking for a place to stay that is tucked away from the hustle of the city but still conveniently located from the city proper. 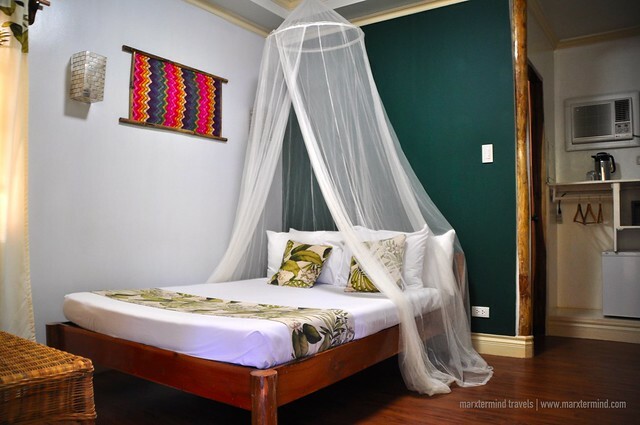 The boutique hotel is located within the lush forest of Puerto Princesa, giving its guest the vibe of solidarity and serenity. 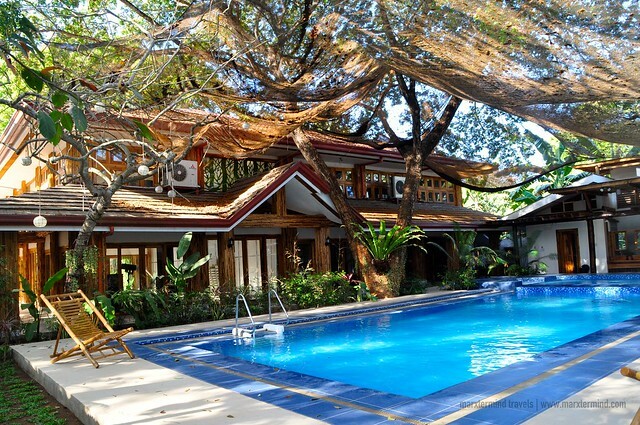 My stay in Palo Alto Bed & Breakfast was my starting point for my weeklong vacation in Palawan. 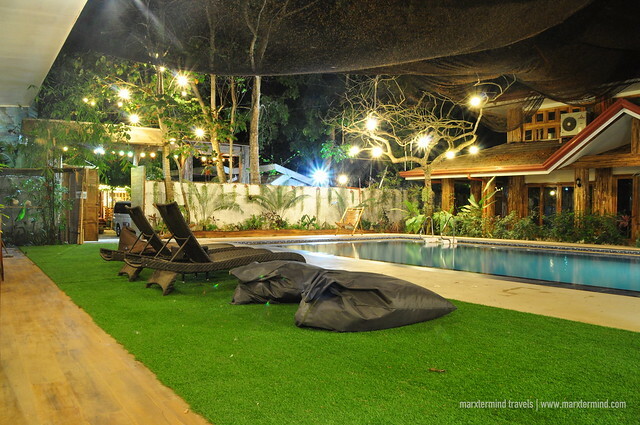 Staying at Palo Alto Palawan was a right place to begin my vacation because it gave me peacefulness, a retreat I’ve desired since I concluded my last getaway. It was early morning when I arrived at Puerto Princesa. The hotel provided me with a transport service from the airport to reach their place, which I’ve found very convenient most especially that I was already dead-tired when I reached the city. You know, I haven’t gotten a sleep since I had finished my shift in Manila a few hours before my flight; hence, I was already heavy-eyed when I arrived at the airport that all I wanted to do was to get to my hotel room immediately and lay down to my bed. Reaching the hotel from the airport was easy because it only took us around 15 minutes drive. 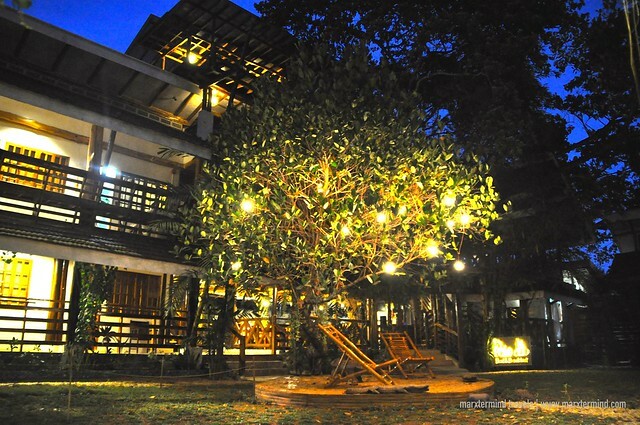 A serene environment surrounded by trees and lovely wooden exterior greeted me when I arrived at the hotel. The staff might have noticed my weariness that in no time, she accompanied me to my room. When I got into my room I dropped my bags and immediately lied down to my bed and hibernate for hours. That is how sleepy and tired I was. Seeing how peaceful the ambiance of Palo Alto Palawan added up to the factor of just spending my day slumbering in my room and relaxing throughout my entire stay. 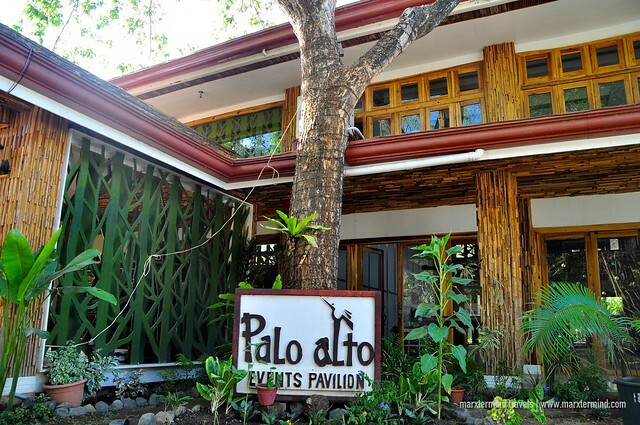 Palo Alto Palawan currently has 5 room types. My room was a Superior Room, which is spacious and cozy. The room is good for two and has a double bed. 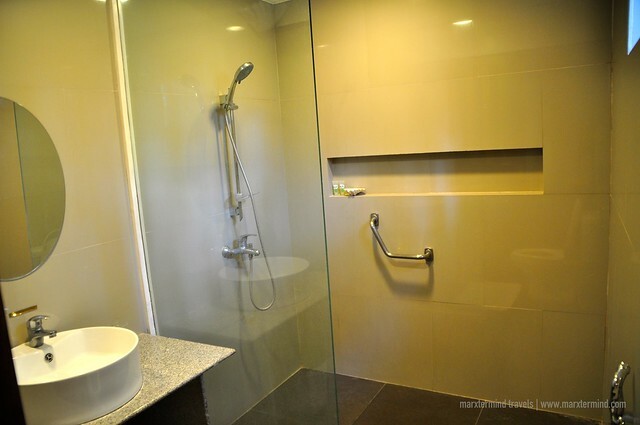 The room also has a roomy and clean bathroom, which I totally liked. 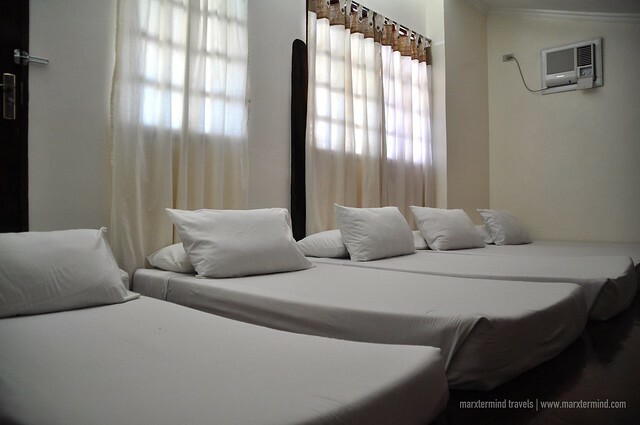 The room is also equipped with cable TV, a refrigerator, a desk and an air-conditioning unit. 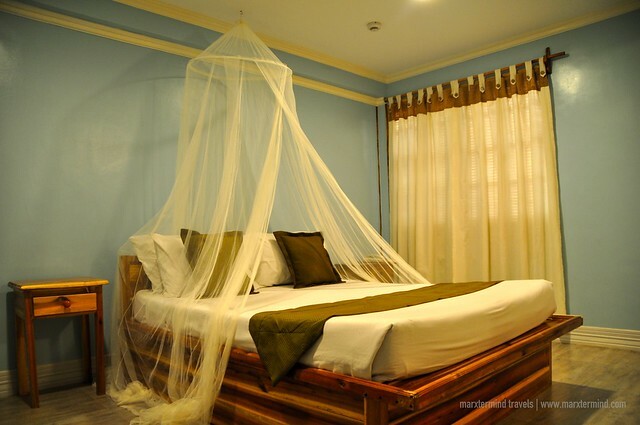 Each room also has a mosquito net, which I’ve found so useful and classic. 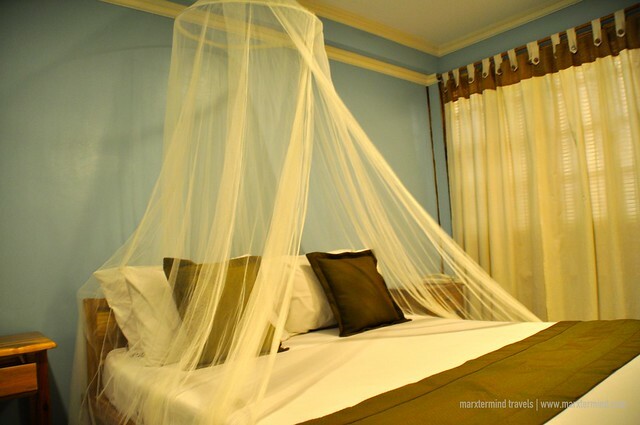 But Palo Alto Palawan’s version of mosquito net appears to be dramatic and picturesque. 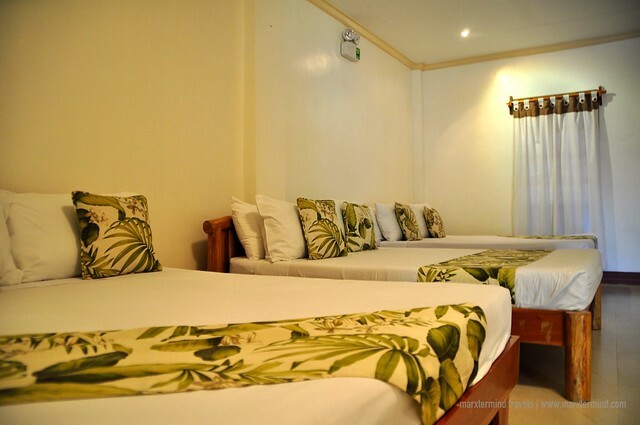 Double Deluxe Room is also good for two persons. It has one double bed. 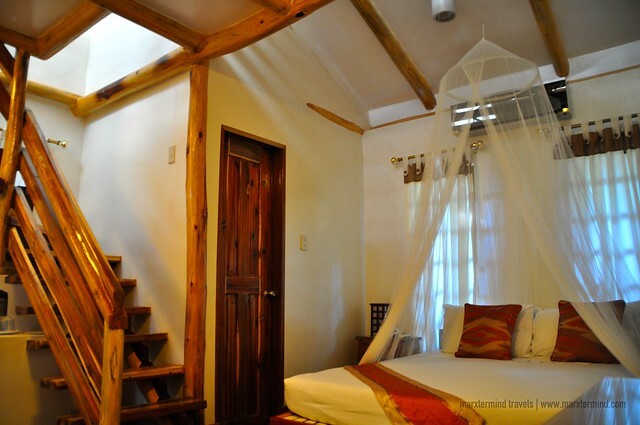 It has private bathroom and also equipped with cable TV, a refrigerator and an air-conditioning unit. 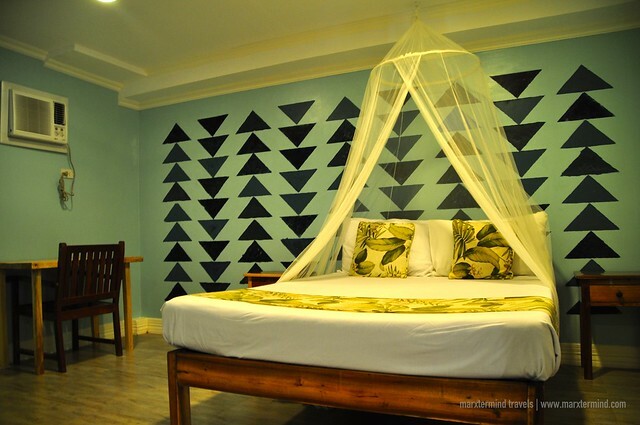 Twin Deluxe Room is also good for two persons. It is based on twin sharing and is fully air-conditioned. It also has a cable TV and refrigerator. The room also has a private bathroom. 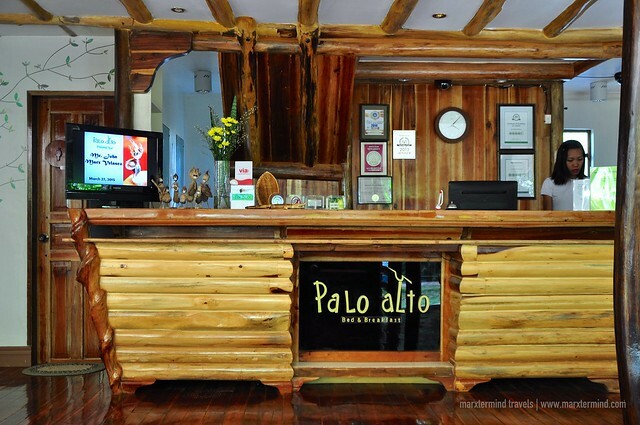 Palo Alto Palawan also offers room for bigger groups. They have Deluxe Family Lofts and Deluxe Pool Room. 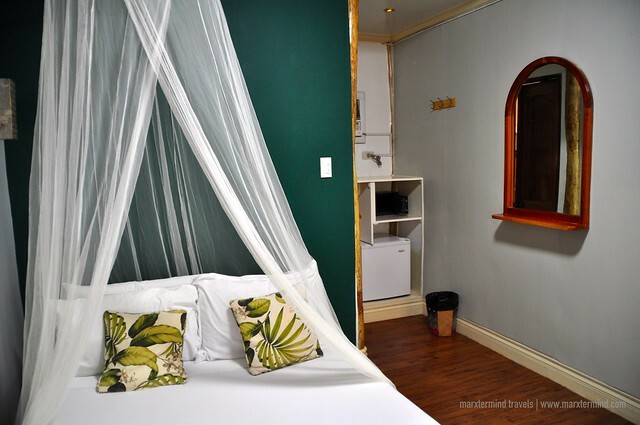 The Deluxe Family Loft is my favorite because it’s spacious and a great accommodation for family and group of friends. It can occupy 4 to 6 persons. 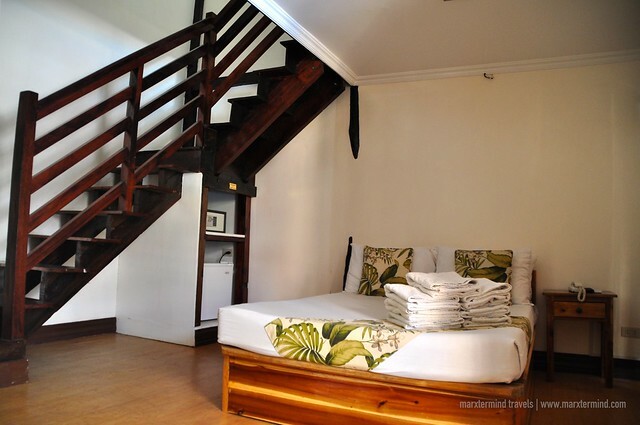 The loft type room comes with a Queen Size Bed on the lower floor and a double bed at the upper floor. The room comes with a private bathroom, a refrigerator, cable TV, and a patio. 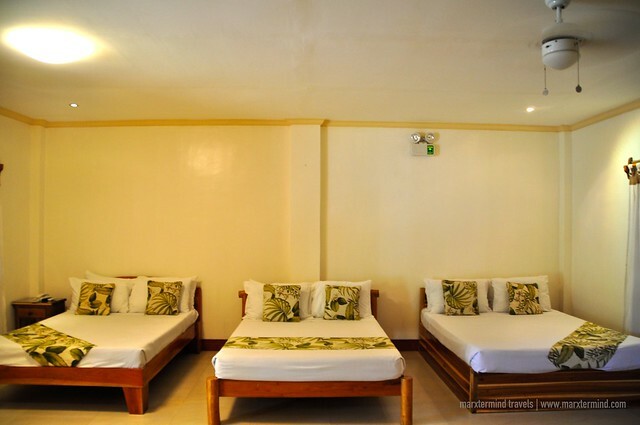 Deluxe Pool Room is also a spacious room that is good for families and friends. 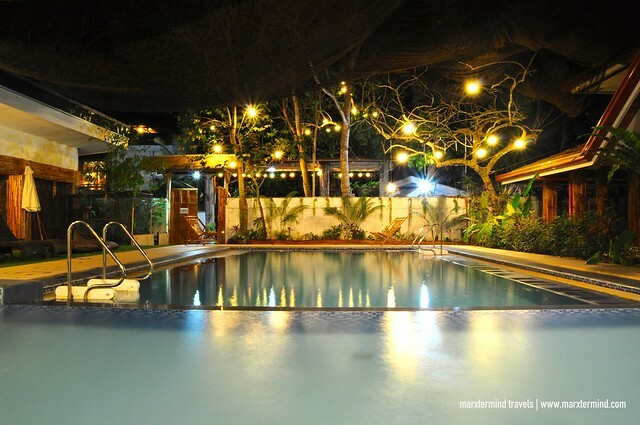 It is located beside the pool area and can hold at least 6 persons. 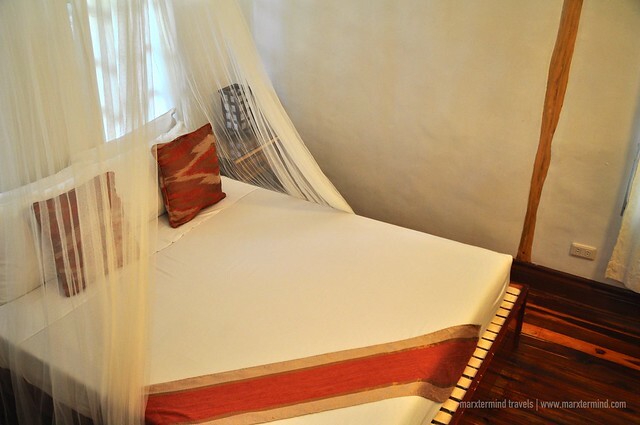 The room comes with a Queen size bed, a double bed and a sofa bed. 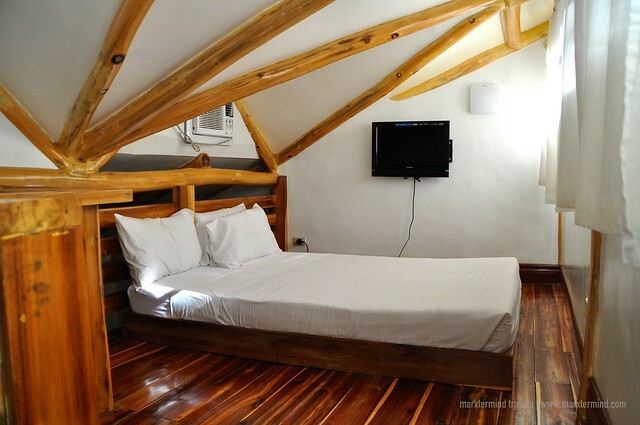 It is also equipped with a private bathroom, a refrigerator and cable TV. It also has a patio. 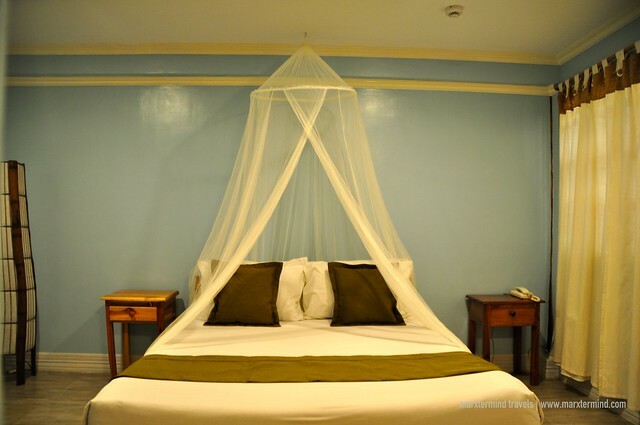 The hotel also has a restaurant that offers selection of sandwiches, pasta, Filipino dishes and some rice meals. Each meal is priced affordably. A single order of Chicken Adobo costs less than PHP 200. 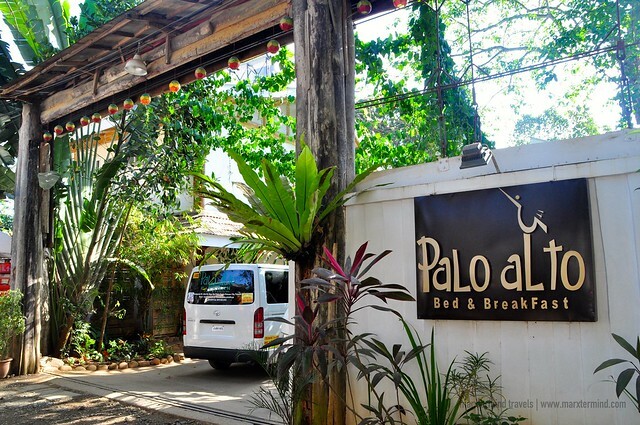 Guests of Palo Alto Palawan can enjoy complimentary breakfast. The choices are American and Filipino favorites. 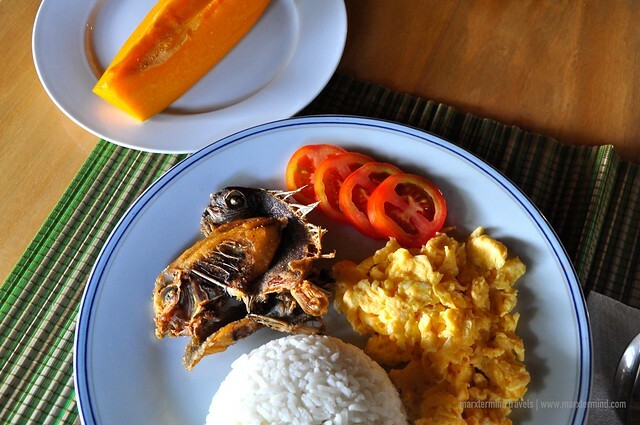 I’ve had dried fish breakfast meal. 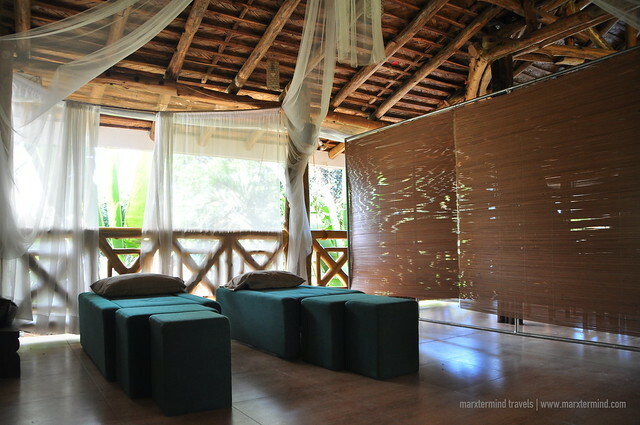 Aside from my room, another aspect that added up to my stay at Palo Alto Palawan to become a retreat was the special facilities that they have. With its outstanding facilities, I literally didn’t go out of the hotel anymore. I just stayed at the hotel throughout my stay. Some of the facilities that the hotel has are the massage area, a watching area to see squirrels, and a pool. They also have events pavilion to cater gatherings and events of big group. 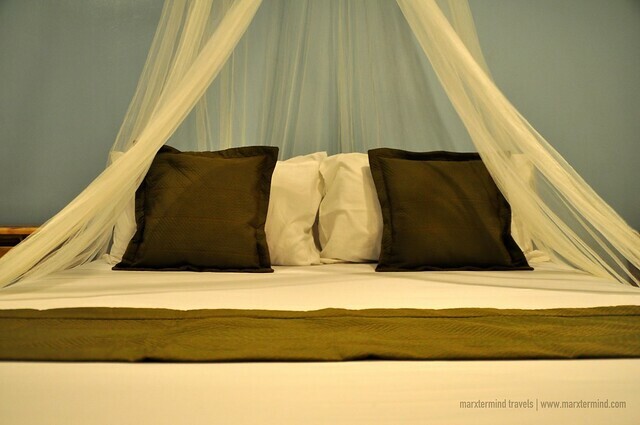 The hotel also has an in house travel agency to provide guests different tour options. The pool is what I had admired the most amongst the facilities that they have. Unfortunately, I wasn’t able to try to have a swim because I was too… lazy? Well, the feeling of peacefulness and solidarity was already enough for me to enjoy lounging at the pool area. The hotel also provides free Wi Fi access for all guests. 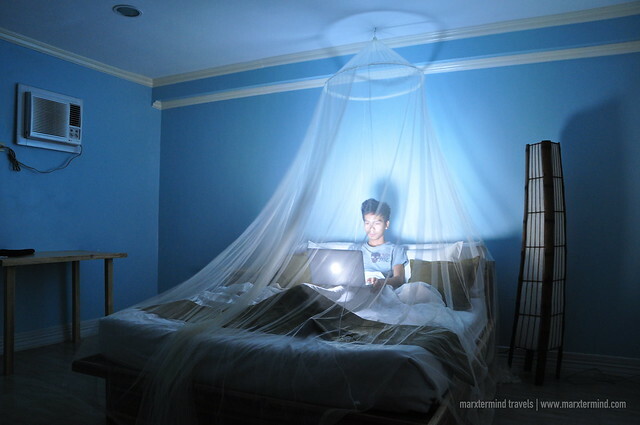 It was already afternoon when I was able to get up from my bed. It was a soothing nap. If I wasn’t just hungry, I might still be in my room then continuing my hibernation. My first day in Palawan wasn’t as productive as what normally others have when they visit Puerto Princesa. I might not be able to do some island tours or city tour but I was grateful because I guess it was meant for me to just seclude myself inside Palo Alto Palawan and nourished the quietness of the environment. It was a time for me to just simply unwind and relax. It was that kind of vacation with nothing but the feeling of undisturbed. 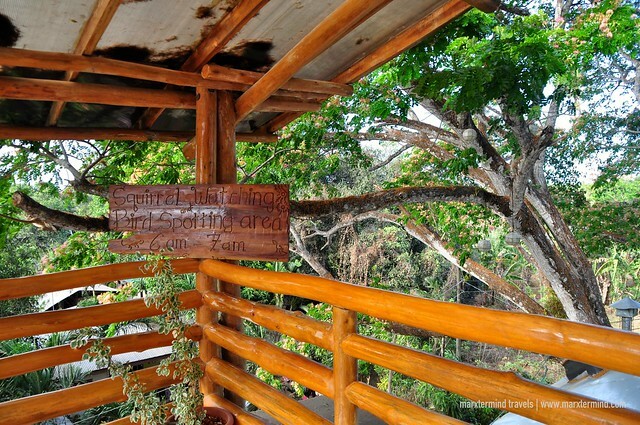 A vacation that becomes even more comfortable because of the helpful and friendly staff. 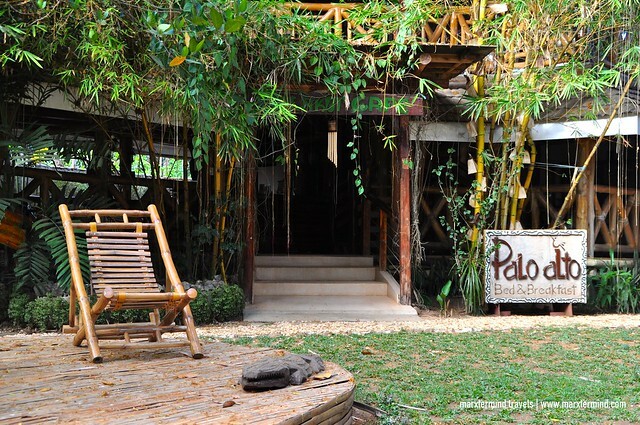 Palo Alto Palawan certainly treated me to a comforting and tranquil environment. It was indeed a peaceful retreat.